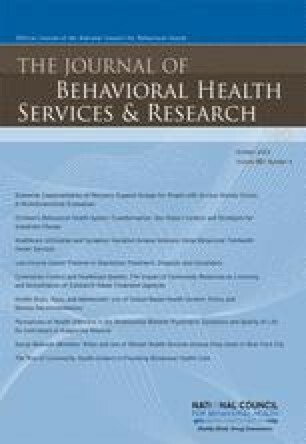 Residential alternatives to hospitalization for patients with severe and persistent mental illness: Should patients with comorbid substance abuse be excluded? Residential alternatives to hospitalization for adults with severe mental illness in crisis were not designed for, and often exclude, persons with coexisting substance abuse disorders. Given high comorbidity rates, however, it is important to know whether residential alternatives can be effective for patients with dual diagnoses. To explore the impact of comorbidity on treatment outcomes, structured interviews were conducted at admission and discharge with 92 consecutive admissions to a residential alternative. Using the Structured Clinical Interview for DSM-III-R, two groups were identified: 24 patients with and 68 patients without comorbid substance abuse disorders. At admission, the two groups were similar in demographic and clinical characteristics. The treatment was effective independent of comorbidity; at discharge, treatment success, symptom improvement, and patient satisfaction were similar for both groups. Persons with coexisting substance abuse disorders remained in residence a week longer, but the difference was not statistically significant. Residential alternatives appear suitable for patients with dual diagnoses. This study was supported by Grant SM49102-03 from the Community Support Program of the Center for Mental Health Services. An erratum to this article is available at http://dx.doi.org/10.1007/BF02521033.